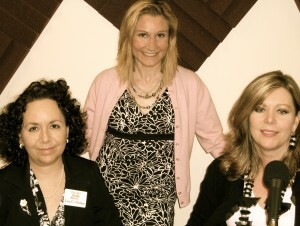 Today on the Chic Perspectives Show I had on Lisa C. Decker, a Certified Divorce Financial Analyst,Â and Cheryl Draa, an Interior Designer – both successful and savvy entrepreneurs who shared some great advice from their own areas of expertise and experiences in starting and growing successful businesses. Lisa Decker , aka Miss Money Matters,Â is the founder of Divorce Money Matters and a Certified Divorce Financial Analyst (CDFAâ„¢).Â As a media resource who has been interviewed by many media sources including CNN, Good Morning America, Business Week, Forbes for Women, The NY Times and Oprah magazine, Lisa is an expert in divorce financial matters, a discreet problem-solver and a trusted advisor to her clients. In addition, she holds Series 6, 63 and 65 and insurance licenses. You need a team to get the best outcome and settlement in your divorce. Put your game plan in place if possible long before you file for the best results. Get organized early on to save lots of money in fees to your attorney and CDFA. There are more peaceful methods of divorcing if you start right from the beginning. Attorneys do not always know what they donâ€™t know. Getting the right attorney and financial advisor are crucial from the start. Know what questions you need to ask an attorney during an interview. 50/50 is not always what it appears to be when taxes are taken into account. Divorce has many pitfalls that you can fall into if you are not aware. The house may be a noose around your neck.Â Donâ€™t become attached to things. Understand the short and long term ramifications of the choices you are making. Divorce courts do not have the authority to make creditors abide by your agreement. If your name is still attached to the debt, then you are still legally liable regardless of who has been ordered to pay. Donâ€™t forget the importance of backing up payments owed like spousal and child support with life and disability insurance in case something happens to your ex. Cheryl is the lead designer at Cheryl Draa Interior Designs. Â The company specializes in full residential interior design including room arrangements, custom upholstery, custom window treatments and accessories. Â Cheryl is a member of IFDA, NFIB and WFCP. Cheryl shared how she started her company from home with modest expectations and how she has grown it into an ongoing flourishing concern with loads of loyal clients that come back to her again and again to work on another house, another room, and fresh new look. Â She talked about the process of choosing the right interior designer for you. Â How she gets to know her clients’ style and lifestyle to insure that the end results suits their tastes and their lives. We also got the low down on all the latest trends in home furnishings and accessories and some great ideas on how to update your space and create a home that is functional and fabulous.